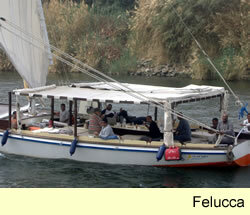 Your honeymoon, or that special anniversary and you want an intimate, romantic cruise on the Nile . 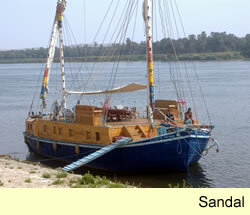 Drifting past the splendours of Ancient Egypt and the exotic scenery, your attentive but unobtrusive crew serve you 3 full meals a day of tasty local produce. As you sip a cold beer the sun sinks over the horizon. You, your partner and the stars. 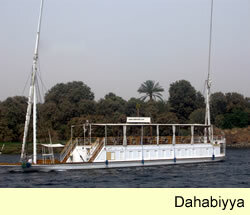 The crew play some traditional Arabic love songs softly in the background, or disappear into their own quarters.